First of all you should know that to become an Android development expert you need time, practice and a lot of effort. Maybe you can learn some basic knowledge in a faster way, but to deepen and control it all god level requires a lot, but a lot of dedication. It may seem obvious, but sometimes, especially in countries like Spain, we forget a little and leave it aside and it is very important! This does not mean that there is no Android development work in Spain or Spanish speaking countries, because there is, but it is true that there is a lot of market outside those borders. But what is more important: the news, the doubts forums, the blogs … are mostly in English. And from now on I assure you that being up to date is a must if you want to survive in the exciting world of apps. To start developing on Android it is necessary to have certain programming bases. You can always watch a tutorial on YouTube or read a book about programming for beginners. If you already have a certain base, you can go for example, to do the Kotlin course from scratch , a very useful course that will teach you everything you need to know to start creating your Android application. A tip, always have at hand, the web reference of this language, will save you in more than one hurry. In addition to the aforementioned course, you can also practice Kotlin through the tutorials and practices provided by the people of Jetbrains. You can also learn to develop applications with Java, but we recommend Kotlin . It is true that Java is a language widely used throughout the world, but it is not the best option in all Android projects. Its syntax is very complex and the learning curve is smaller in Kotlin since it is designed to be intuitive and easy to read. Long live Kotlin! To start developing for Android it is also necessary to know the XML files, it is a language of labels that serves to store data in a legible way. It really is not exactly a language as such, but a system that allows to define languages. After getting the necessary base in programming and in the Kotlin language, it is necessary to choose the integrated development environment (IDE), that is, the program on which you will develop your app. There is not much to think about: Android Studio is the official one. You can download it on their website. These initials correspond to Software Development Kit, that is, the software development kit. 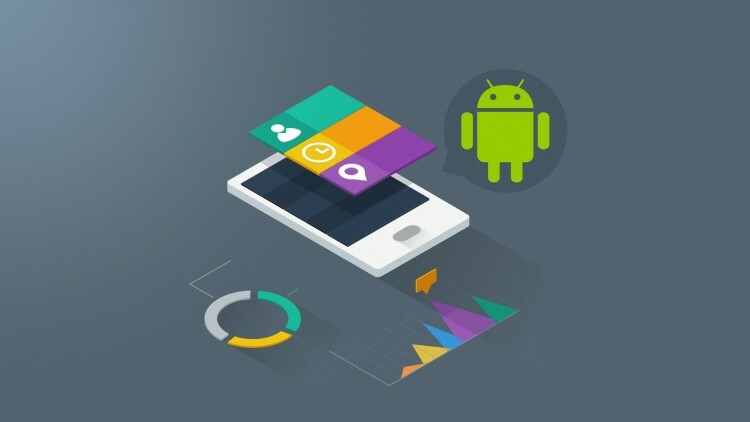 They are the necessary tools to develop the application; it will allow us to create user interfaces, respond to user interaction and create necessary components for any Android application. The time you can dedicate to this is infinite, since with each version the components are updated and are changing, but do not worry, it is not necessary to know everything in order to reach a successful conclusion.